Fun facts about Washington D.C.
Do you know what the hardest part is about coming back from an amazing two-week vacation to the Mid Atlantic states? Well, it’s coming back. Out of the many times I’ve visited that region, I’ve never been there during the tree blooming season. This year, we managed to be in the area right during peak bloom, and I can only thank our school district’s vacation schedule for this coincidence. The week before we arrived, only a few trees were blooming, and the week after we left, the blossoms were being blown away by high winds and rain. We had 90% blooms during our stay. That’s what I call pure luck. 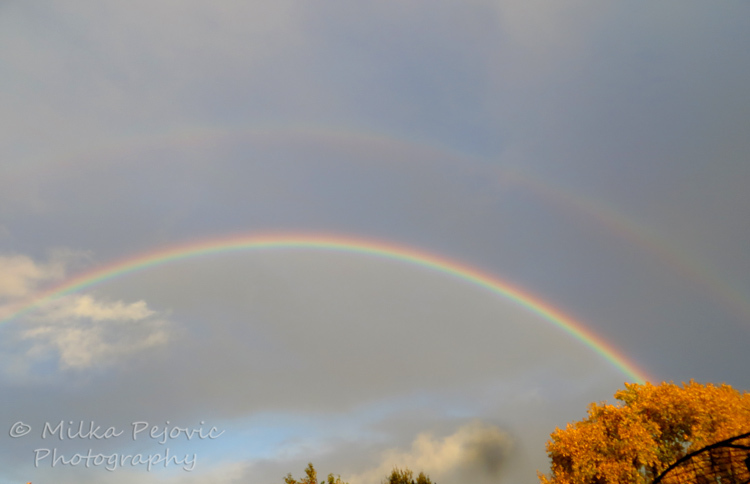 Coming from an area of the country where flowers and blooms are rare and sparse, this was a welcome sight – burst after burst of colors everywhere we looked. 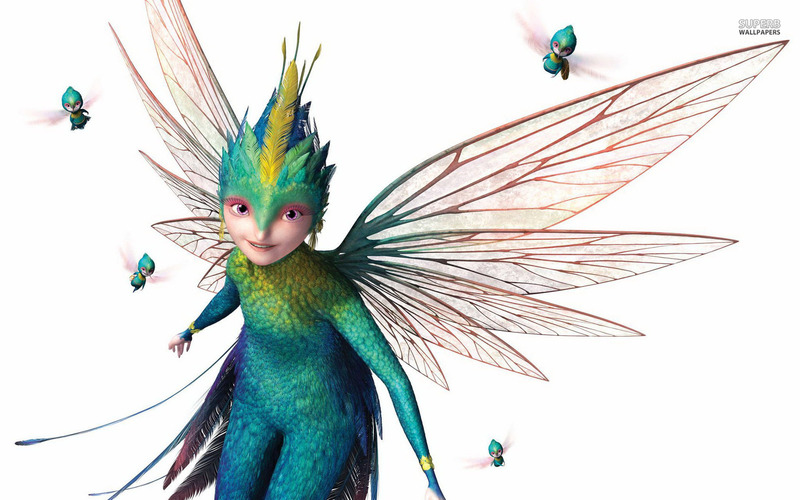 Oh, did I hear you say allergies? Well, knowing that my kids and I are allergic to tons of things in the San Diego air (dust, tree pollen, weeds, you name it, we’re allergic to it) and miserable all year round, I figured it wouldn’t be worse on the East Coast. Actually it was 100% better. As in, we had NO allergies the whole time. Of course, 10 minutes after getting out of San Diego airport, we were already sneezing. Nice. We got to spend the first five days of our trip touring Washington D.C., the following weekend visiting my friend in Delaware, and the next few days in Virginia. My kids got to see the famous national monuments for the first time, visit the best museums in the country for free, stare in awe at the REAL spangled star banner (it’s HUGE! ), walk around the Tidal Basin with another million tourists, see robins, cardinals and other critters, visit George Washington’s estate at Mount Vernon and Thomas Jefferson’s estate at Monticello, admire the beauty and size of the Luray caverns, see many local animals at the Virginia Living Museum (first time my kids saw raccoons and beavers), and enjoy walking in real grass under real trees. I’ll showcase a lot of the photos I took of these places and animals on my photography website over the next few weeks, but today I wanted to share a few fun facts we learned while touring Washington D.C.
Spring break is the busiest season of the year for the capital. About 600,000 people reside within the city limits. At spring break, 1.2 million people buzz around the streets of D.C. Honestly, we’ve been to the San Diego Zoo in the summer enough times to be ready to conquer any crowds, so this didn’t scare us. Washington D.C. is one of the greenest cities you’ll ever see in the U.S., and that’s probably because a law passed a long time ago says that for every tree cut, two more have to be planted. That makes D.C. a beautiful city to walk and look at. 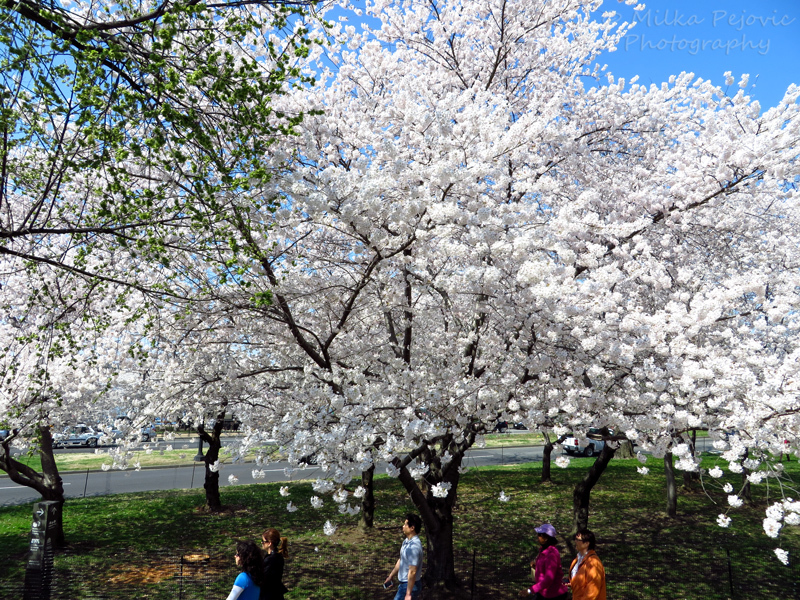 Talking about trees, the original cherry trees donated by Japan to the U.S. feature white blossoms. Most of the cherry trees that were planted later on display pink blossoms. Honestly, I don’t care what color they are, they’re beautiful either way, especially when they’re all blooming at once. Some botanist got the brilliant idea years ago to cross a pink cherry tree with a weeping willow. 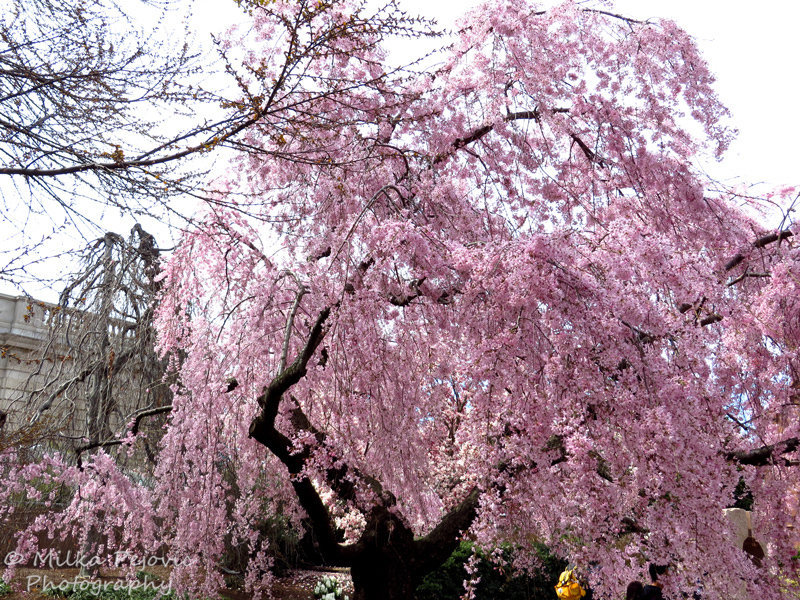 The result is called a cherry weeping willow, or a weeping cherry tree, and there are lots of them in and around D.C. and many of them are very large (20 to 30 feet tall). All I can say is, wow! 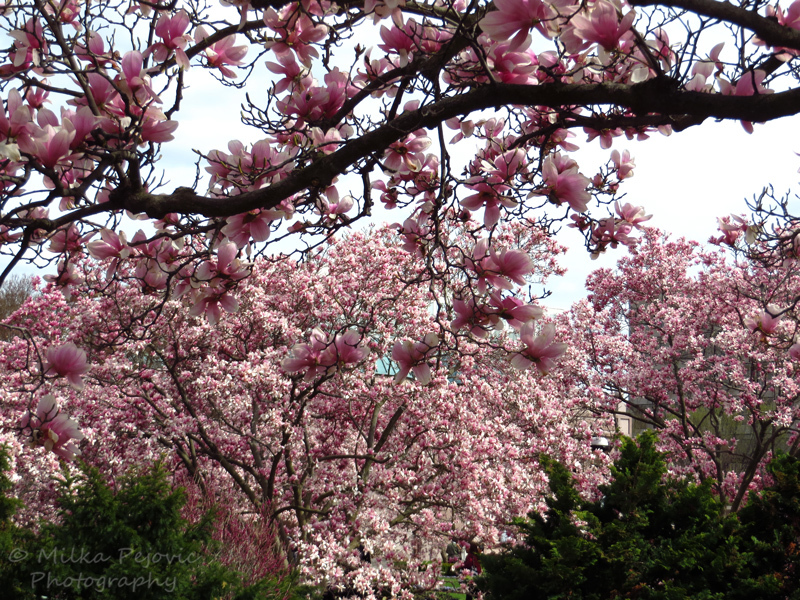 And talking about pink, how about those pink magnolias? Double wow! Also called “tulip trees” because of the shape of their flowers, they’re everywhere in the city. You can guess I took many, many photos of those. Let’s talk about the Washington Monument for a minute. It was still under renovation while we visited and is supposed to reopen in a few days. I thought it was closed because of remodeling purposes, but it was damaged in the August 2011 earthquake, the one with a magnitude of 5.8 in Virginia, less than 100 miles from downtown D.C.
By the way, did you ever notice the two different hues of marble on the Washington monument? A light hue for the bottom part and a darker one above? That’s because the monument construction stopped for several years, when people were arguing if it should be built at all. Once the argument was settled, the quarry had run out of marble in that specific location, so they had to extract marble a little further away, which explains the difference in color. 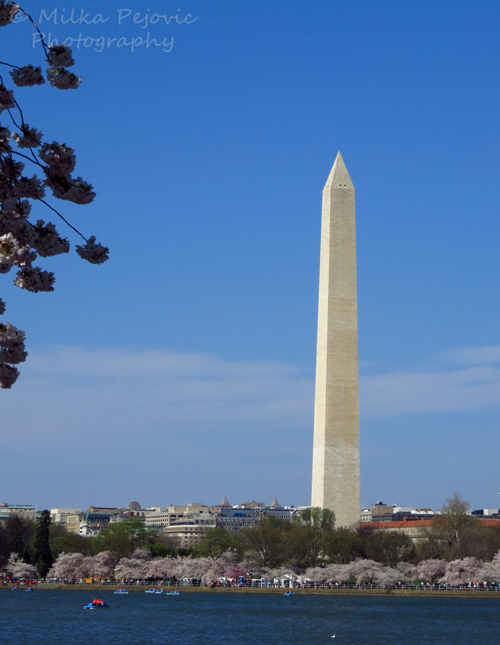 One more funny fact: the Washington monument is made of “Texas granite marble” and of course it comes from… Maryland! Alright, one very last funny fact about the Washington monument: when the elevator was originally installed, only men could use it. That’s because it was considered a safety issue and people thought women and children were safer taking the stairs. Right… It would take the original elevator 17 minutes to go up and down the monument, so maybe the elevator wasn’t much faster than the stairs anyway. 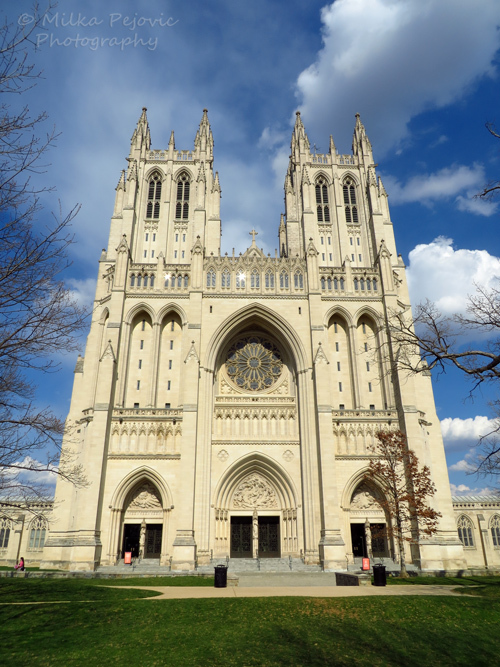 Other monuments in D.C. were damaged in the 2011 earthquake, including the Washington National Cathedral. You can actually see the stones and gargoyles that fell off during the earthquake, as they’re piled up by the entrance of the church. 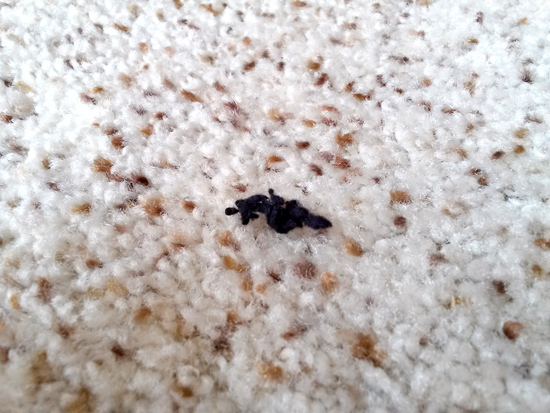 I sure wouldn’t have wanted to be close to it when it happened. By the way, if you want to see the inside of the cathedral, plan to shell out $20/person. No need to say, we didn’t bother going in. How do you like my postcard picture? 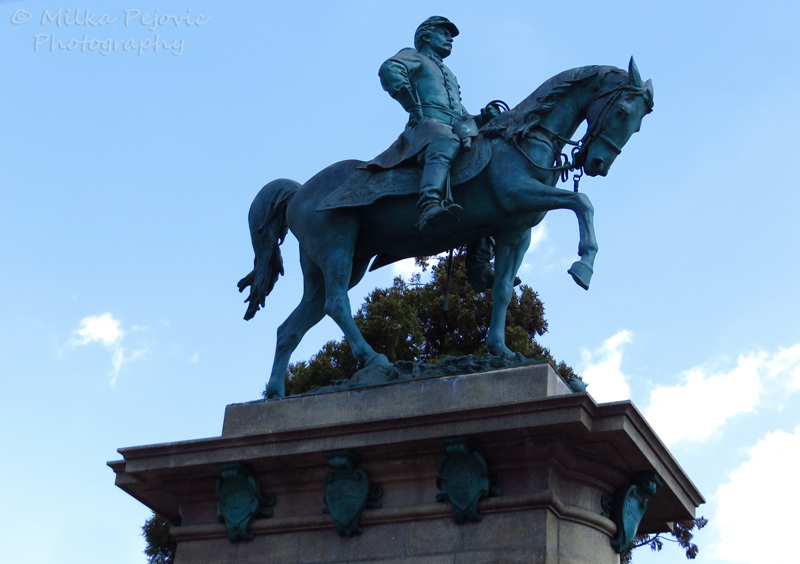 Finally, if you’ve ever being to D.C., you’ve probably noticed the many statues of military men on horses. It seems that every military general, or even officer, that fought in the American Revolution or the Civil War has his own statue in the city. One funny fact about these horse statues: they all face the White House. So if you’re ever lost in the city and are looking for the White House, look for a horse statue and you’re all set! Do you know other fun facts about the Washington D.C. you’d like to share?